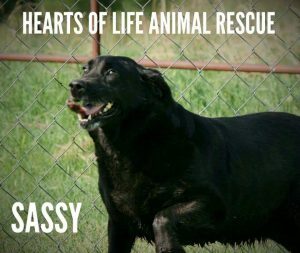 Sassy is still searching for her forever home! Sassy is ironically quite the opposite of her name. She is very shy at first, but once she gets to know you, she’s very eager to please you. She’s very quite, but she loves to play with her best friend and bonded mate Will! (They compliment each other very well and they need to be adopted together) Her adoption fee is $100.00 which includes all previous vetting, shots, worming, spay and rabies. Please contact us to meet her in person! Call Hearts of Life Animal Rescue at 903-439-5019, email adoptonenow@aol.com, facebook.com/heartsoflife or find us on Petfinder.com!